I think this is the week of pure relaxation and indeed is a WONDERFUL week! 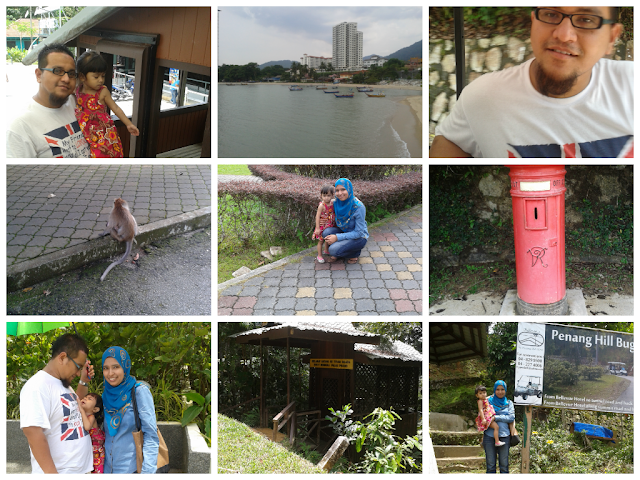 We had a two weeks holiday last month and took a road trip from Ipoh to Penang. 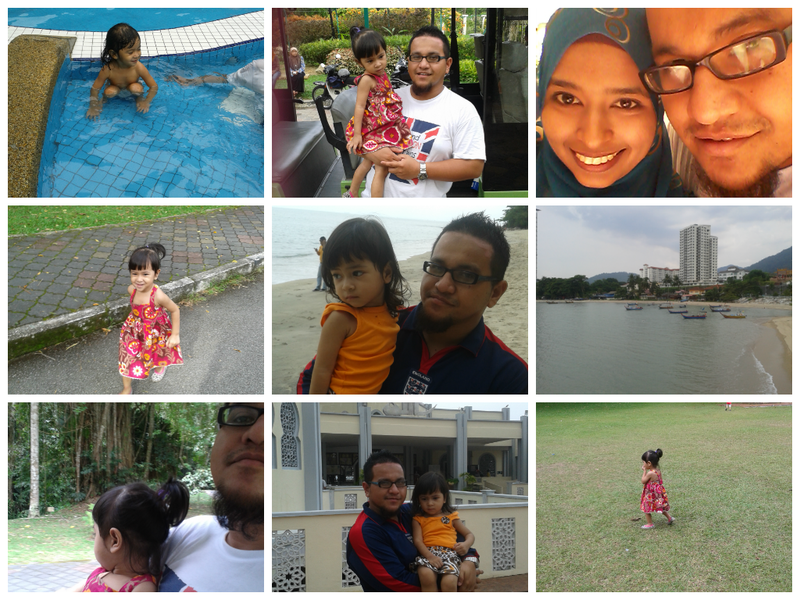 We left out on the 5th day of Eid around 4pm. The drive went really well. Aulia' slept most of it and we didn't hit much traffic. When we got there, we all got settled in and just hung out! Aulia' had hard time going down for bed. Wednesday we hit the beach at Batu Feringghi. It was so nice being right on the beach because Aulia' lasted all of maybe 30 mins, haha! She ate the sand, which drove me nuts! We only took her back out there two more times before deciding it was just too much work for 15- 30 minutes of fun. We brought her to Penang public pool and she LOVED the pool though. She floated around and kicked her little legs. Hubby and I had a blast and didn't complain once that we were not spending all day on the beach. 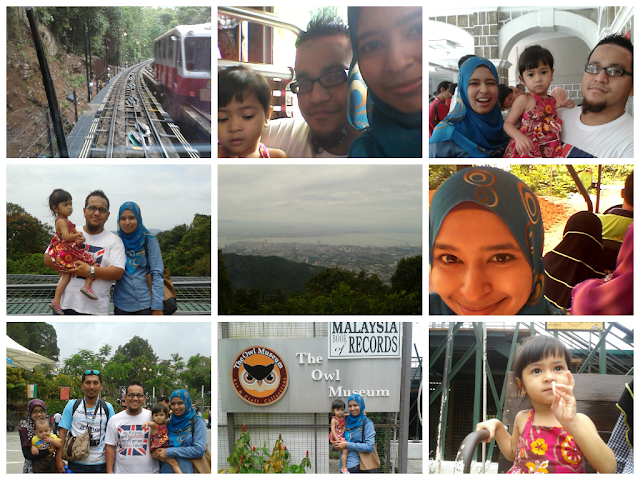 After had breakfast on Thursday, we hit the Penang Hill and got T-shirt for Aulia'. Those were the two must dos on my list while we were there. We went out for ice-cream twice. 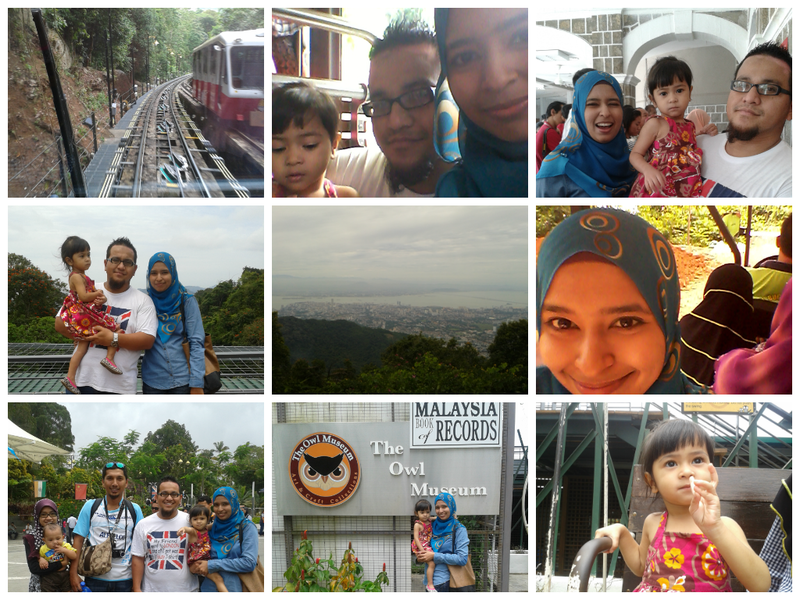 Hubby met his Uni mate and his wife while strolling at Penang Hill. Its really nice to bump into an old friend after 6 years of graduation. We also went to Gurney drive hawker center to have the infamous pasemboq and Balik Pulau for durian. 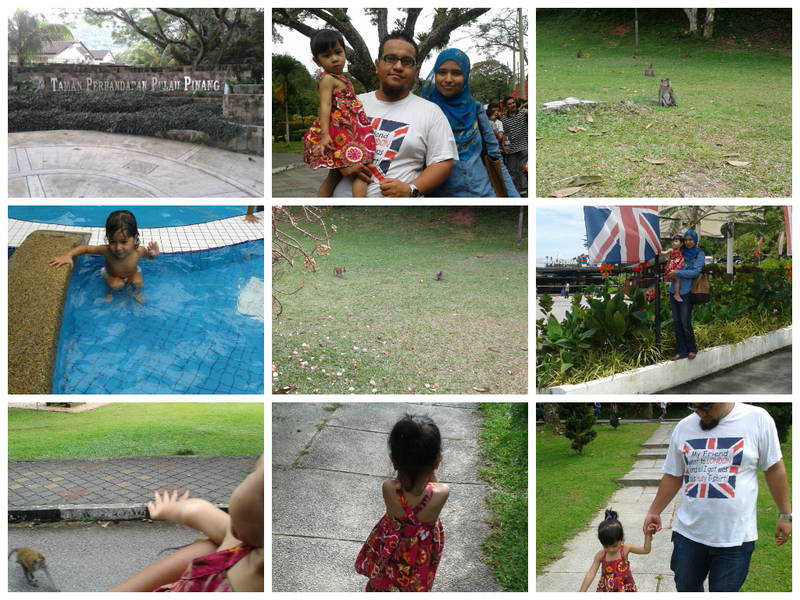 Our visit to Botanical Garden was awesome coz Aulia' can watch the monkeys in less than 1 meter away! We first ride on the tram and went for one round, then took a slow walk up to the sloppy hill where tram doesn't go through. We decided to come back on Friday instead of Saturday like everyone else which was a great decision. We had done laundry through out the week so we only had one load when we got home,SCORE! We were all unpacked and relaxing by Sunday afternoon which was great. We went for grocery shopping in the evening and we relaxed some more. Perfect way to end a vacation! Here is a big photo dump from the week.